A natural formula that supports working memory and cognitive functioning as well as assisting with athletic performance and recovery. 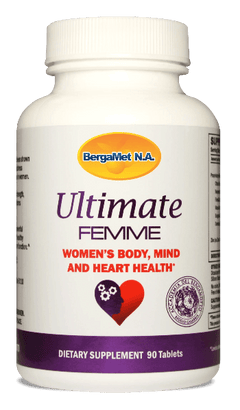 The BergaMet Ultimate Sport platform combines the demonstrated active performance and recovery benefits of BergaMet Sport with the memory, cognitive function and cardiovascular support of BergaMet Ultimate Memory. In addition, this unique product combination provides neuro-protective support derived from the use of its base ingredients in Department of Defense clinical studies. The overall result is a credible, naturally sourced supplement for active lifestyles that provides support for the performance neuro-defense, cognitive function and cardio-metabolic function. The health benefits of the bergamot orange are due to its unique profile of phenolic compounds, including neoeriocitrin, neohesperidin, naringin, rutin, neodesmin, rhoifolin and poncirin. Naringin has been shown to help maintain normal inflammatory balance, while neoeriocitrin and rutin have been found to exhibit a strong capacity for quenching free radicals and maintaining healthy LDL cholesterol levels. Read BergaMet product testimonials here.